Now that a new year has started and i being relatively free at this time of the year i thought of reviving my blog again.So i wanted to start with something which is magical. 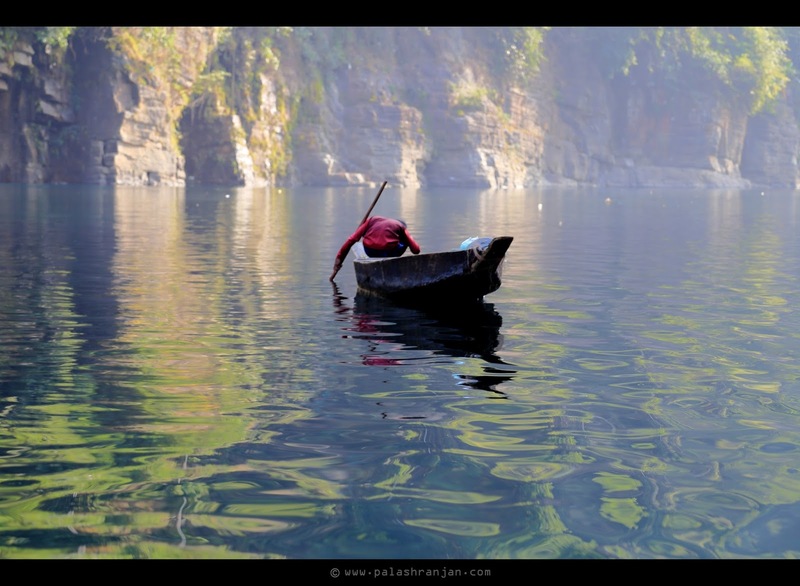 This picture is from my recent trip to Meghalaya of a gorge on the river Unmgot. The town is famously known as Dawki. Dawki is on the border of India-Bangladesh and around 120 Km from Shillong, the capital of Meghalaya. Dawki was never there in my itinerary. I'm a planned traveler as far the destinations are concerned but when it comes to visit places within the destination then i'm quite flexible. Dawki got added once i arrived in Shillong. I never Googled the place earlier, so i was totally unaware of the beauty of this place. But as i reached there (Around 2 PM in the afternoon) i was totally speechless, seeing the beauty of the place. The river water was (Infact, is) crystal clear with different shades of Turquoise. You can see the river bed throughout the stretch. The boats on the river looks like if they have been held mid-air.. it was truly magical. Surprisingly the beauty of the place is confined to some half a km of the stretch only. And for all the photographers its advisable to click the place from top to feel the real beauty of the place (More pictures to come soon). Also if you decide to go down you can hire boats for few hundred rupees and have a good half an hour trip around the place. There are very few people over there, unlike in other tourist places in rest of India. So next time you plan any trip towards North-east part of the country i would definitely suggest to add Dawki in the list. One more interesting fact about this place is that, had the gorge been few hundred meters (Roughly 400-500 meters) downhill then it would had been in Bangladesh. We are lucky enough to see such a beauty without a VISA.